“WE ARE…….” The Armed Forces & Veterans Breakfast Clubs. NEVER BEFORE HAS SUCH AN HONOUR BEEN BESTOWED UPON AN ORGANISATION. 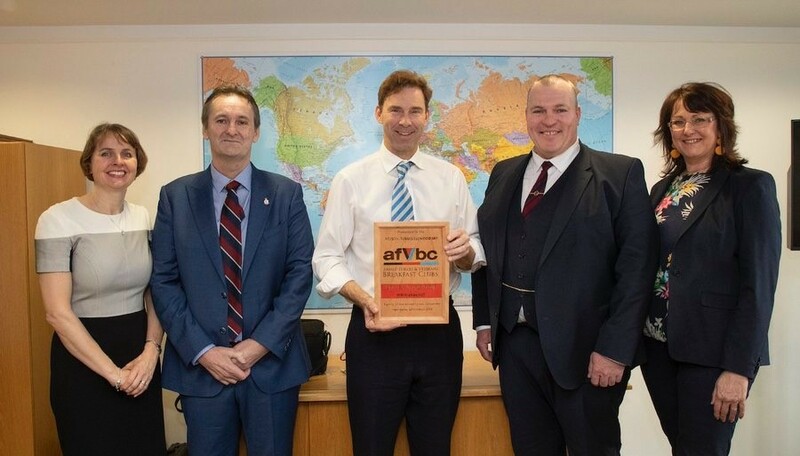 On Wednesday 20th March 2019, we were personally invited by the Parliamentary Under Secretary of State for Armed Forces Personnel & Veterans, the Rt. 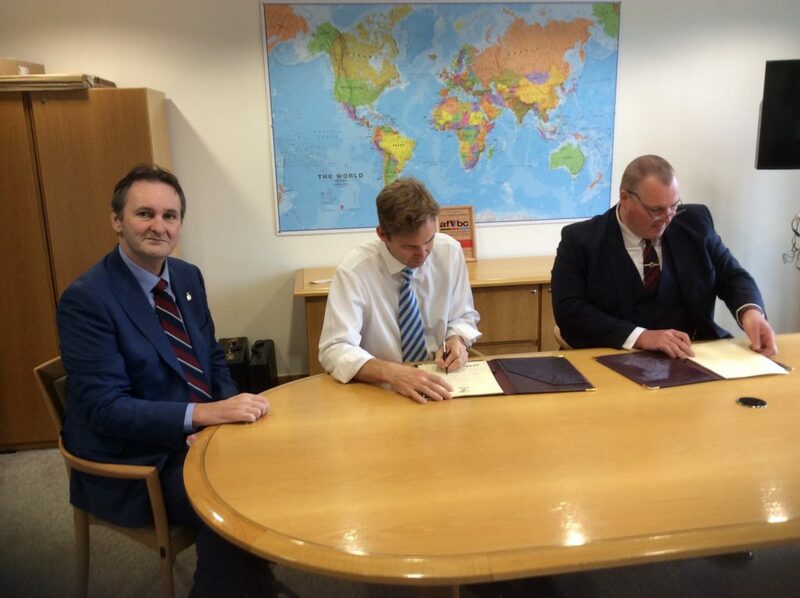 Honourable Tobias Ellwood, to sign the Armed Forces Covenant in his office at the Ministry of Defence in Whitehall. It seems that not only are the Armed Forces Covenant and the MOD extremely happy with what we are doing, but also how we are doing it! As a veteran himself, Mr Ellwood, a former Captain with the Royal Green Jackets, said he is a huge fan of our organisation, and even asked if he could start an Armed Forces & Veterans Breakfast Club himself, under our banner. 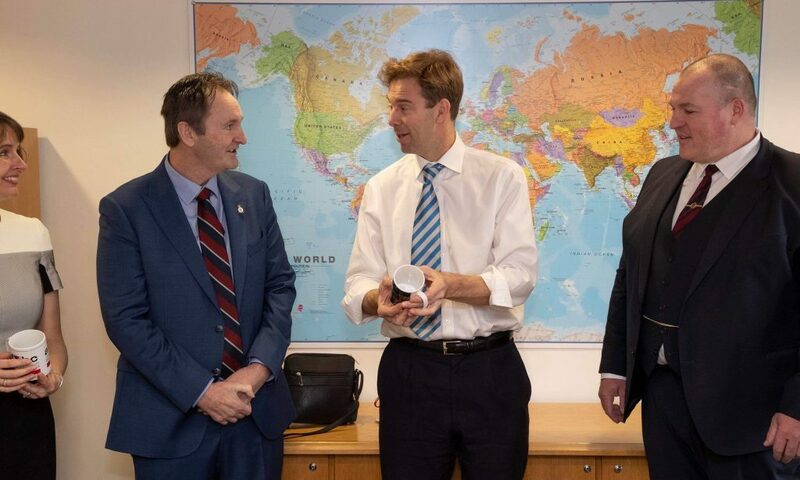 The Minister accepted gifts from us for his Office. 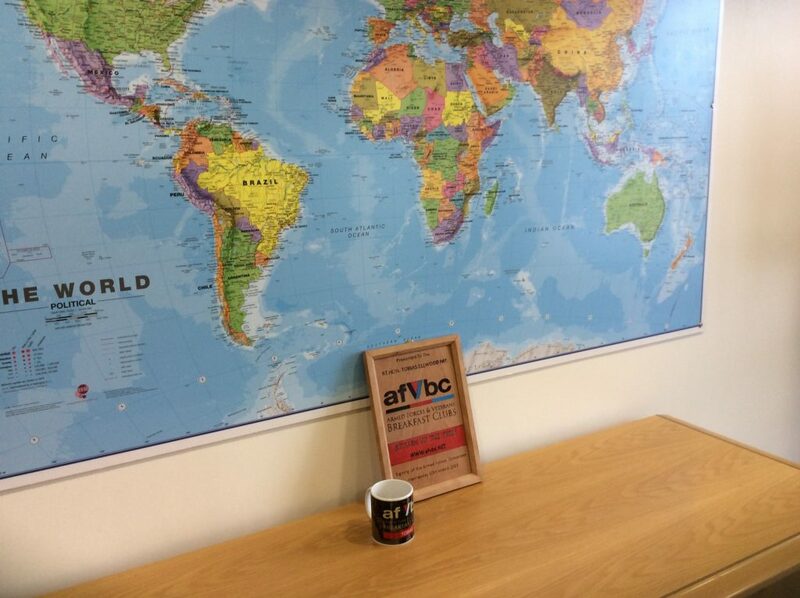 The Minister admires his new, personalised, AFVBC Mug. We look forward to the support pledged by the MOD and the Covenant team in developing the Armed Forces & Veterans Breakfast Clubs, to end the isolation of veterans.